The 600KN Digital Display Hydraulic compression testing machine adopts hydraulic loading, digital display, easy and convenient to operate. It is mainly used to execute the tension, compression, bending, flexural etc. test for metal materials. Attached with simple accessories and devices, it can be used to test wood, concrete, cement, rubber, and so on. It is very suitable for making test to different metal or nonmetal materials under high toughness and hardness against extreme big loading force. located under the host, means between beam and worktable. 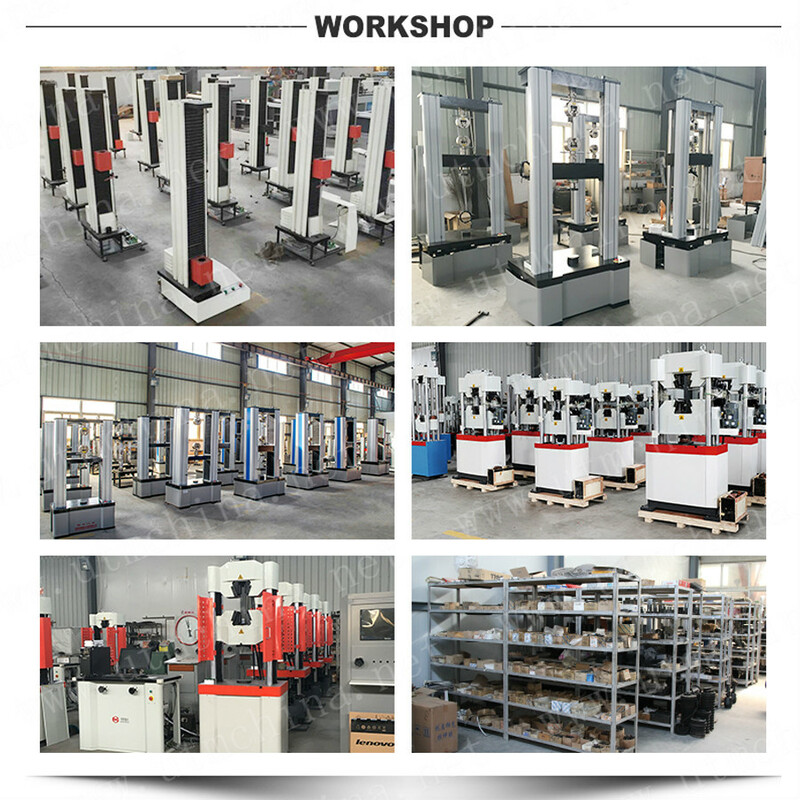 3.2 The structure is designed with solid four column and two screw, the whole machine has strong stability. 3.3 The host is designed all-inclusively to ensure its super strong stiffness so that it can resist micro-deformation when it is loading. 3.4 Middle beam adopts adjustable gap screw-nut mechanism, eliminating the gap and improving the measurement performance. 3.5 Fuel tank adopts gap sealed, improving the measurement accuracy and also extending service lifetime. 3.6 New design add the Protective Cover and Dust Cover, to protect the operator and the machine. ISO, ASTM, DIN, JIS, etc. Q:Are your company a trading one or a factory? 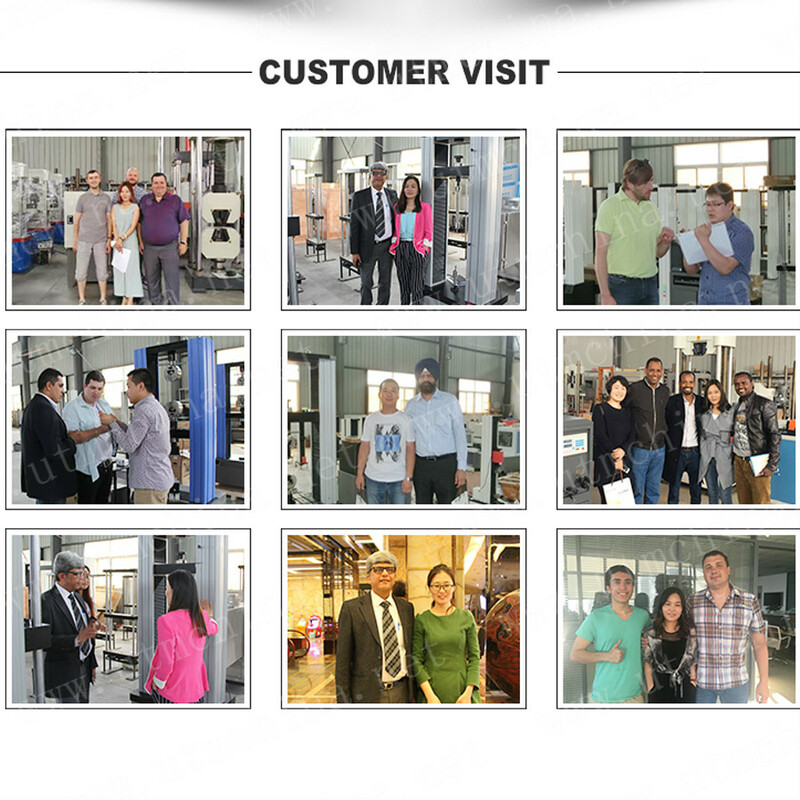 A:Factory + trade (integration),More than 20 years focusing on test instruments field,6 years exporting experience. Q:After an order is placed, when to deliver? 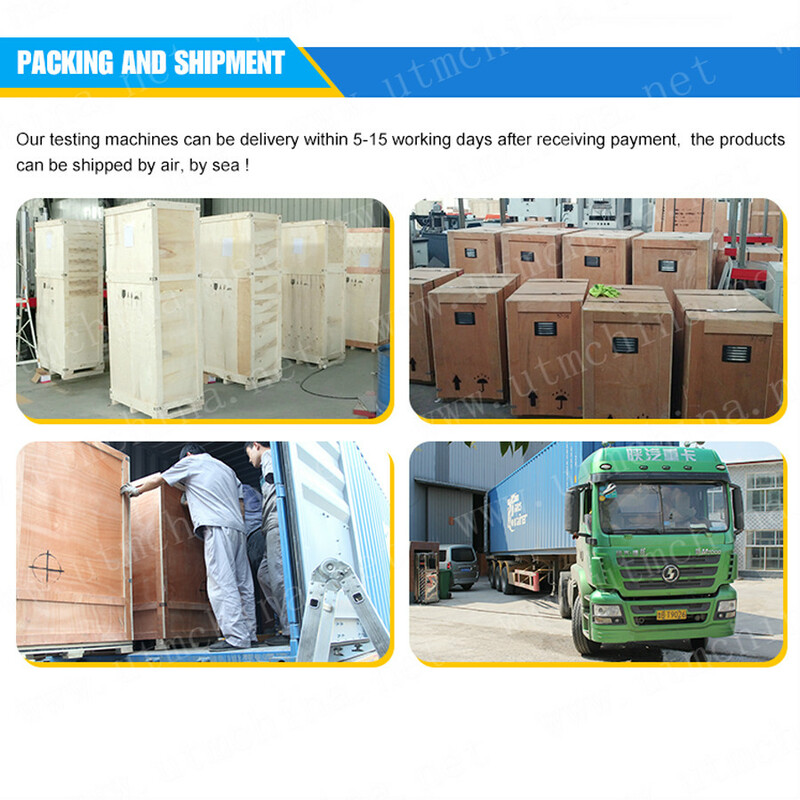 A:Generally about 10-25days, If we have inventory, we can arrange shipment within 3 days. Q:What about the warranty with after - sales services? problems and complaints in a professional and timely. Q:What about the product' services and quality? A:Each instruments must be carried out 100% quality examination and test when shipping and delivery goods. Product use training, each of our product provide video training to show you how to install & operate. We can arrange engineer to train the operation of equipment to customer`s company when you need. products are widely recognized and trusted by users. Looking for ideal 2000KN Hydraulic Compression Testing Machine Manufacturer & supplier ? We have a wide selection at great prices to help you get creative. 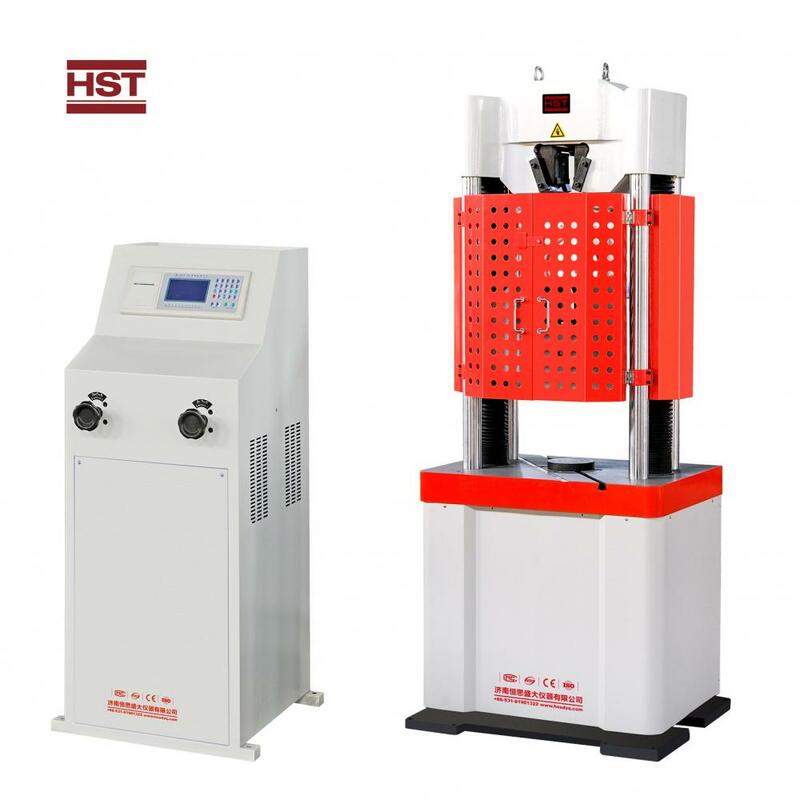 All the Hydraulic Compression Testing Machine are quality guaranteed. We are China Origin Factory of Digital Display Compression Testing Machine. If you have any question, please feel free to contact us.